The beautiful Daria collection vanities stand out in any bathroom with strong, clean lines and elegant raised panels. There's plenty of cabinet space, the doors are soft-close construction, and chrome detailing completes the look. Daria vanities deftly combine the function of today with a nod to the elegance of the past. It's the new modern classic styling with a contemporary twist. Minimal assembly required. Concealed soft-close door hinges. Faucet(s) not included. Metal exterior hardware with polished chrome finish. Two (2) functional doors. Plenty of storage and counter space. Wyndham Collection's beautiful Tamara vanity series is inspired by the classically elegant look of Cape Cod, but designed with a contemporary twist. 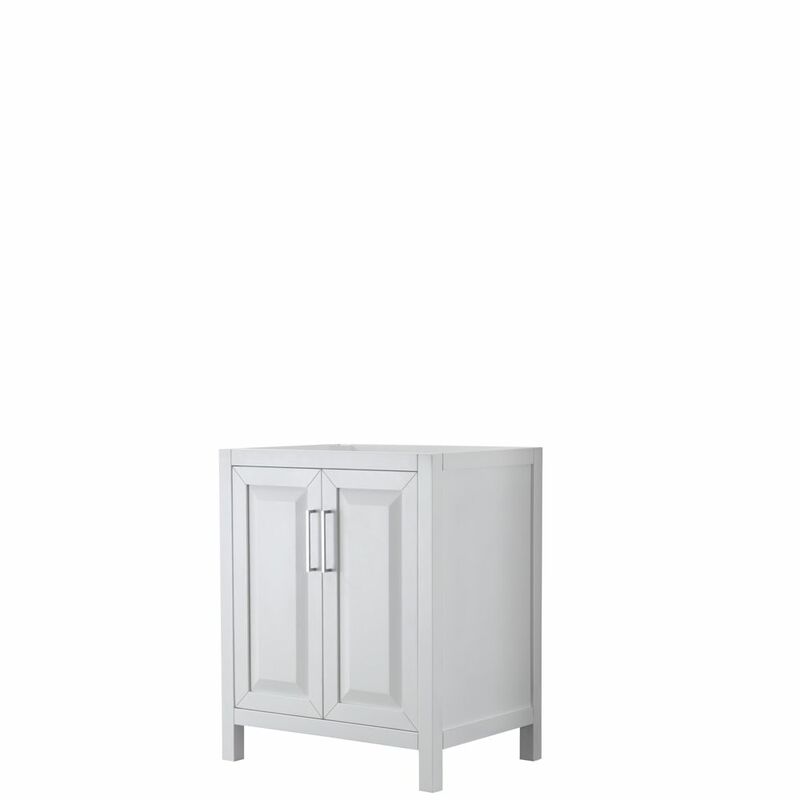 Style meets practicality with miter-finished door detailing, louvered door inserts, and plenty of storage and counter space. Beautiful marble counters with included modern undermount sinks complete the look and bring the Cape Cod feeling into the 21st Century. Daria 30 inch Single Vanity in White, No Top, No Sink, No Mirror The beautiful Daria collection vanities stand out in any bathroom with strong, clean lines and elegant raised panels. There's plenty of cabinet space, the doors are soft-close construction, and chrome detailing completes the look. Daria vanities deftly combine the function of today with a nod to the elegance of the past. It's the new modern classic styling with a contemporary twist.